Do you want to pursue a career in sports management? If so, the following post has some top entry level jobs in the field. Okay, so you may not be a professional athlete, but that doesn’t mean you can’t still be a part of the sports world. 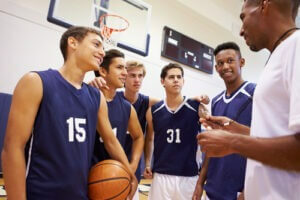 Learn five entry level jobs in sports that offer career potential in the following post. Want to work in sports but not sure how to get started? Here are five entry level sports jobs that have incredible career growth potential. Are you wondering what to do after graduation? If you like the outdoors, then consider some jobs for recent college graduates in the following post.